Run, Jump, Roll & Swing! In our preschool gymnastics program, we work on developing basic skills such as coordination, balance and confidence at an early age. We learn basic gymnastics skills and positions while emphasizing the importance of safety and proper form. Our preschool gymnastics classes help your child learn motor skills, strength and flexibility while building your child’s self-esteem and confidence. 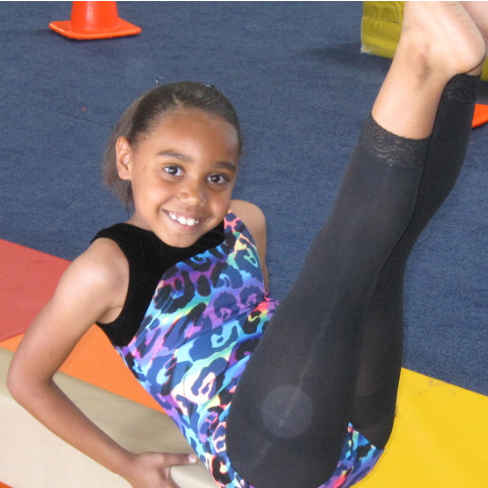 We currently offer preschool gymnastics classes for children ages 18 mos to 5 years. Parents work with their children on basic motor development in the gym under the guidance and instruction of our trained coaches. 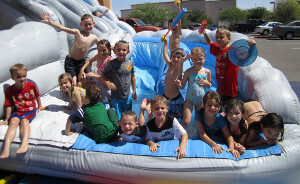 Class format includes a warm-up, obstacle course, trampoline, equipment instruction, and supervised play. 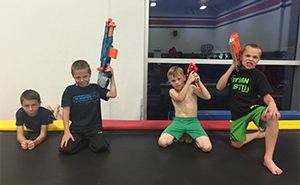 Come play at the gym with your child! The kids love it and the parents do too! The instructor coordinates with the parent to help accomplish the goals for the child. One or both parents welcome in the class. At age 3, a child is usually ready to participate in the class without a parent’s constant interaction. The kids will enter our preschool gymnastics classes to join a “more-structured” format. We have fun while working on core positions and gymnastics skills. 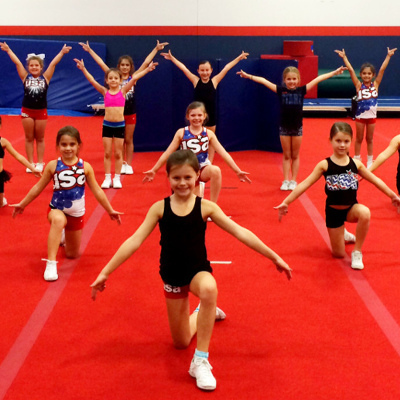 The goal is to teach strength, flexibility and basic skills to help your child excel in what ever sport they choose to pursue!